A five foot adjustable bed not only allows you to adjust the bed into various positions but it also gives that much need room to stretch out and make sleeping more comfortable. Motorised adjustable beds also benefit those with health difficulties and may help relieve back pain, poor circulation, aches and pains. Changing the position of the bed using a remote control, electric beds can be raise or lowered at both the upper end lower end of the bed. 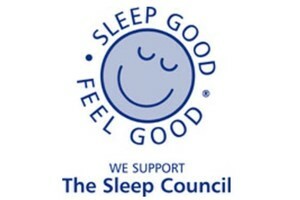 Leading bed manufacturers Respa, Sherborne, Dorlux, Sweet Dreams and Slumber Night make a range of adjustable beds in range of different sizes and mattress types according to your particular requirements. .
Motorised beds come with a range of different mattress types, including innerspring construction, memory foam, latex, or a combination of fillings. Memory Foam adjustable beds will have a softer feel, naturally shaping to the contours of the body, whereas a pocket spring interior will have a firmer spinal support quality. The Sweet Dreams Ultra 5' Adjustable Bed is an alternative to the platform or deluxe leg base of other adjustable models. With two free-standing adjustable actions and a five-stage action with handy button control, this motorised bed has a choice of a Supreme, Dreamatic or Viscomatic mattress. Finished in a wide selection of fabric options, this model also comes with an optional massage unit. Whether it's simply for relaxation or a health requirement, visit Dalzell's showroom in Markethill to try for yourself a range of adjustable beds, including the Respa Flotation Comfort 5' Electric Bed, the Slumber Night Sovereign Motorised 5' Divan Bed and the Sherborne Dorchester 5' Head-only Adjustable Bed. The Sherborne Dorchester 5' Head-only Adjustable Bed features a single motor control to provide head-only adjustment on the joining two 2'6" Beds. Complete with seven mattress and three headboard options, this luxury king size electric bed benefits from a fully upholstered, easy-assemble no-slat base, an upholstered storage drawer and a choice of castors or glides. What's more, if an adjustable bed been recommended to you or a family member for health reasons, and you live in Northern Ireland, request a letter from your Doctor and we’ll Zero Rate The Vat on your purchase! Yes, you will not need to pay the 20% VAT! We'll even provide Free Pillows, Free Delivery and Free Collection and Recycling of Your old Bed throughout our Free Delivery Zone of Northern Ireland and Counties Dublin, Louth and Monaghan. Live in Northern Ireland, and an adjustable bed has been recommended to you or a family member for health reasons? If so, request a letter from your Doctor and we’ll Zero Rate The Vat on your purchase! Yes, you will not need to pay the 20% VAT! Not only this, but if you buy from us we'll provide Free Pillows, Free Delivery and Free Collection and Recycling of Your Old Bed throughout our Free Delivery Zone - Northern Ireland and Counties Monaghan, Louth and Dublin. So if you're in Derry or Dungannon, don't hesitate in giving us contacting us to see what a great deal you'll be getting when you buy your new motorised adjustable bed from Dalzell's.